Fresh buttermilk is the secret ingredient to these pancakes but we like to add layers of whip cream and homemade raspberry syrup for additional flavor! 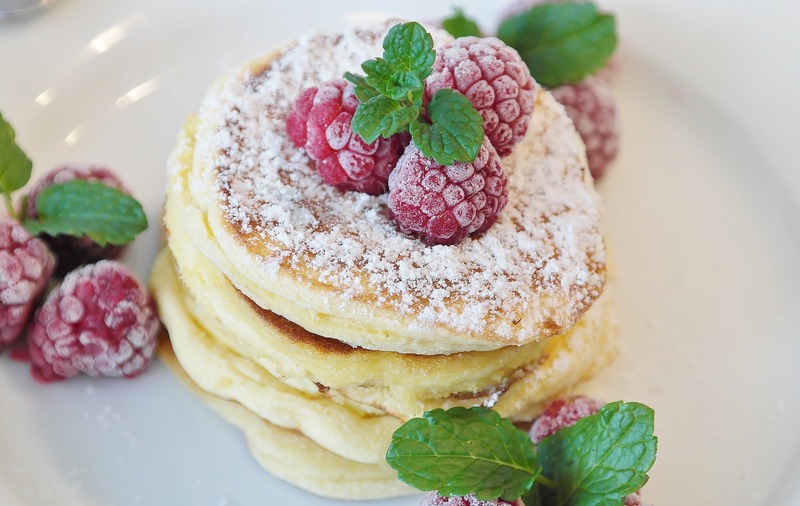 Top with fresh raspberries and a sprinkle of confectionery sugar and who can resist these light and fluffy pancakes? In a large bowl, mix flour, sugar, baking powder, baking soda, and salt. In a separate bowl, beat together buttermilk, milk, eggs, vanilla and melted butter. Keep the two mixtures separate until you are ready to cook. Pour the wet mixture into the dry mixture, using a wooden spoon and blend together. Pour batter onto the frying pan, using about 1/2 cup for each pancake. Brown on both sides and serve hot. Between pancake layers we like to add homemade raspberry syrup that we learned to make from WickedGoodKitchen.com and Reddi Whip Cream for mouth watering goodness. Top with fresh raspberries and sprinkle on a little confectionery sugar to add a touch of sweetness. Garnish with mint to make it picture perfect! 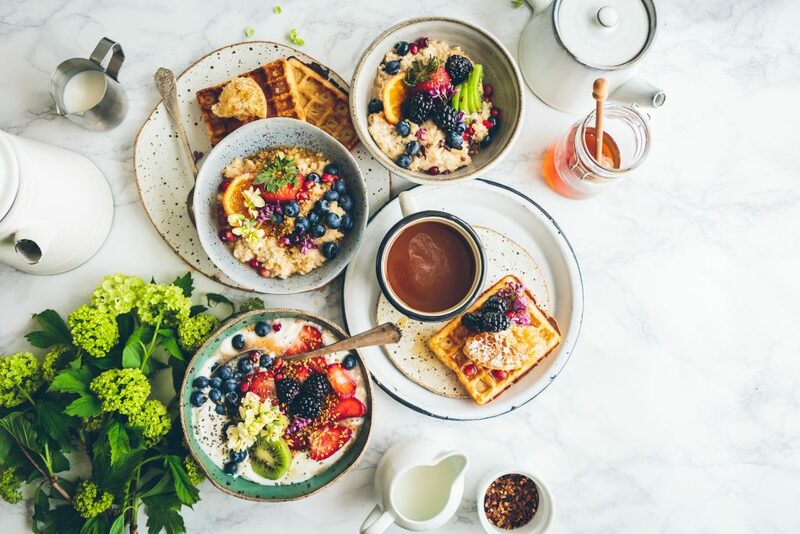 If you are not a fan of raspberries try substituting fresh strawberries or blueberries with Vermont Maple Syrup. Let us know which one you liked the best!